Some 76 people got trampled, 17 of them to death, as hundreds of fans stormed stadium gates to try and get to a football match in Angola. People had to walk over one another and got suffocated as the crowd surged, hospital officials say. The stampede occurred seven minutes into the game between Santa Rita de Cássia and Recreativo de Libolo at the January 4th stadium in the northern Angolan town of Uíge on Friday evening, DeportoAOMinuto reports. "There had been a push that led to the suffocation of people. Some people had to walk on the top of other people. There were 76 casualties, of whom 17 died," Ernesto Luis, director general of the local hospital said, as cited by Reuters. The stampede happened when an early goal was scored by Inácio Cassuque (Viet) for Recreativo do Libolo. Santa Rita’s manager Sérgio Traguil said that he was “devastated” by what had happened. "I only knew what happened when I left the stadium. No one around us knew,” he said, estimating the stadium’s conditions as “good,” as cited by Maisfutebol. Condolences have been pouring in for the victims of the disaster. — Manchester City (@ManCity) 10 февраля 2017 г. — Celtic Football Club (@celticfc) 10 февраля 2017 г. "The tragedy has once again struck football. FC Porto stands in solidarity with the families of the victims and with the Angolan people," FC Porto wrote in a FB post. GIRABOLA ZAP TRAGÉDIA NO Uíge. Mais de 17 mortos , 5 feridos em estado crave e outros 73 feridos . Voice of America in Portuguese reported that the game had not been immediately halted after the incident began to unfold. It stated that the majority of the victims are suspected to be children, who wanted to sneak into the stadium to watch the game. "There were only two policemen in the place and people started pushing until the gate gave way," VOA reported, citing a local resident Castigo Olavo. 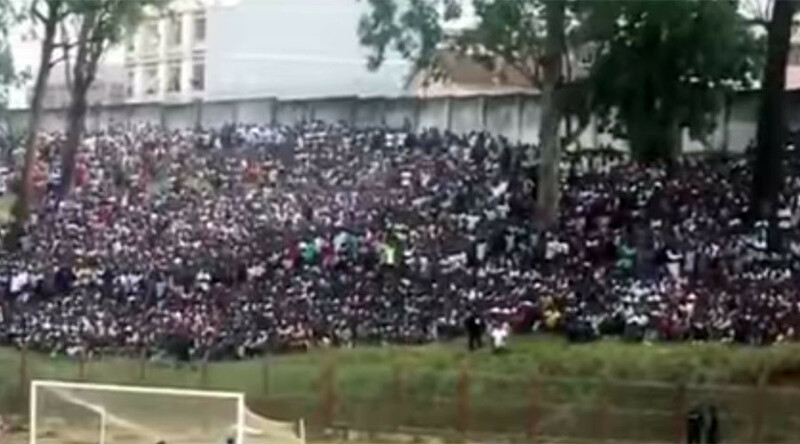 According to reports in local media, there were security concerns at the small municipal stadium chosen for the game prior to the encounter. The venue for the match, proposed by Santa Rita de Cássia, was given a go-ahead by the Angolian sport authorities last Sunday, Publico reports. Upon inspection by the Angolan Football Federation, several recommendations were given to the team to improve the conditions, including to modify the opening of the gates and boost security. All the faults were to be eliminated within a three day time.